Samford University’s Beeson Divinity School has received a $94,667 grant from Kern Family Foundation to train pastors to help their congregations understand the intersection of faith, work and economics. The grant will be dispersed over 18 months beginning in June, according to the project supervisor, associate professor of divinity Mark DeVine. The Bible and the history of theology have much to say about the work human beings were created to do; about the money earned doing it and about wealth and poverty,” said DeVine. “With the resources this grant provides, we seek to comprehend and explore the relevance of this rich subject and educate and equip pastors to do so within their ministry settings. Teaching in the area of faith, work and economics is largely absent in most seminaries, DeVine noted. Beeson will seek to address this absence by equipping pastors to teach on the subject. "We look forward through an array of initiatives including conferences, pastor symposia and masters-level course offerings to equip pastors to think biblically and theologically at the intersection of faith, work and economics,” said DeVine. “We are convinced that faithful biblical and theological reflection has much light to shed on the workaday lives of Christian believers." DeVine will work on a book, entitled Between Sabbaths: God’s Call for the Other Days, during a sabbatical in the spring of 2015. "Pastors occupy an essential, pivotal and even decisive strategic position to help their congregations better understand God’s role for work in their lives, and recognize the importance of integrating faith, work and economics into one’s understanding of calling and discipleship,” said DeVine. The grant will make possible the continuation of a study begun in 2013 with an earlier Kern grant. 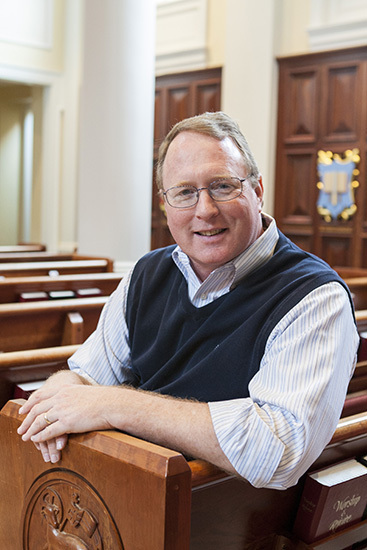 DeVine, at Beeson since 2008, teaches church history and doctrine. He has served as pastor of churches in Indiana, South Carolina, Kentucky, Missouri and Alabama, and as a missionary in Thailand. DeVine is the author of Bonhoeffer Speaks Today: Following Jesus at All Costs, coauthor of REPLANT: How a Dying Church Can Grow Again, and has written for numerous other publications.